Calling all beer evangelists that enjoy imbibing with a purpose! We’re excited to announce a SUPER new beer created specifically for the active lifestyle enthusiast interested in incorporating high-quality ingredients in their beer choices … meet SuperEIGHT. At 5.3% ABV, this super refreshing, sessionable Super Gose is a unique beer made with eight heroic ingredients including prickly pear, mango, boysenberry, blackberry, raspberry, elderberry, kiwi juices and a touch of quinoa, along with an ample addition of Hawaiian sea salt. 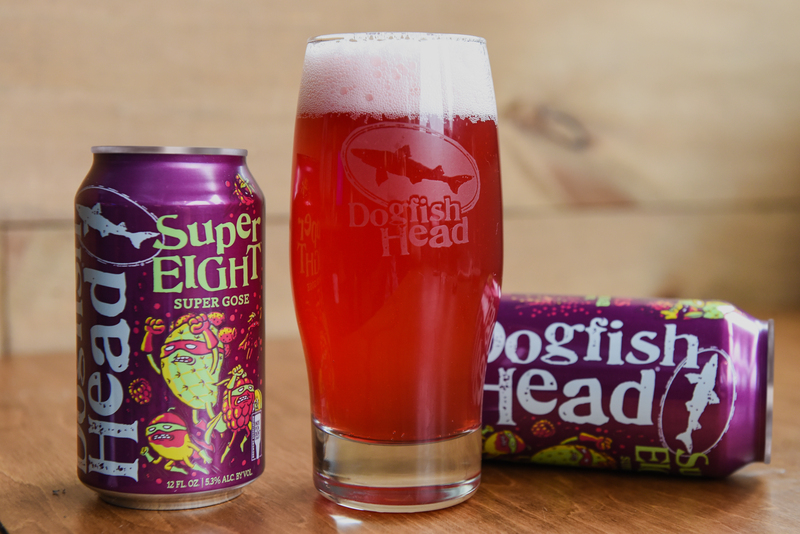 Brimming with hard-working ingredients, SuperEIGHT was brewed to harness the powerful goodness of all-natural fruits. It’s fresh, it’s delicious, and it’s releasing nationally in 6-pack 12 oz. cans this time next week. Vibrant red in color, this Super Gose has a slightly tart taste and pleasantly refreshing finish, with delicious flavors of berries and watermelon. But oh SNAP … there’s more! We also ‘developed’ some inspiration for this beer with our friends at Kodak … yeah, like the filmmakers. Back in 2018, Sam joined Kodak - a world-class technology company - to record an episode of their podcast ‘The Kodakery,’ discussing analog processes in the digital age. During the podcast, Sam learned that the heightened levels of acidity and vitamin C in certain beers could make them an ideal processing agent for film. Seriously. As luck would have it, our R&D brewing team was working to create a new beer that had a similar profile and unique ingredient bill to the liquid needed for developing film. BOOM! Just like that, SuperEIGHT was born and designed to process Kodak Super 8 film. Early batches of the beer were sent to Kodak to begin development. After a series of tests were done, they successfully proved that SuperEIGHT can in fact act as a film developer. So what’s next? You didn’t think the fun stopped there, did you? Of course there’s more! Sam is planning an epic, Dogfish Port-to-Port boat trip up this East coast this summer and he’ll be documenting part of his adventure on Super 8 film, which will be developed in SuperEIGHT beer and turned it into a short film. We’ll let you ‘process’ that for a minute. More details on the Port-to-Port trip will be announced on Earth Day, April 22, so be sure to check back then!